The fact that blockchain technology and internet of things (IOT) may be considered as technologies with the brightest future can’t be denied. Both of these technologies have not only simplified the complex day to day database management hurdles but have also come up with an unbeatable security system which ensures complete security for your confidential data and information. Moreover, extreme transparency, as well as modified security features, are the most imperative reasons why users can blindly rely on these technologies. Moreover, according to a gardener history, it is estimated that the blockchain technology will add dollar 3.1 trillion in business value by 20:30 where else the Global IOT market is expected to grow from $157B in 2016 to $457B by 2020. Therefore it can be said that the whole world will soon witness incredible and extremely modified technologies like Blockchain and IOT. IOT is now aware of the fact that old school approaches like VPNs or two layer protection will definitely not enough provide strong security for industrial systems. There is no doubt that as these applications will soon disrupt the pre-existing processes across enormous Industries like trading shipping manufacturing or even the financial sector. However, as the boundaries of IOT expand responsibility to provide a trustworthy securities system also increases. This is what makes security a top concern for the IoT ecosystem as it exposes huge amounts of data supply chain partners multiple devices etc. There are in fact some of the most imperative challenges that might be considered as hurdles in the path of IOT. An in-depth analysis will lead us to the fact that the main reason for the hesitation of users to consume IOT apps is data privacy. As this field is mostly related to clients context and therefore a very special and therefore it demands special attention from both client and seller sides. Therefore hackers are not the only thread as because the manufacturing and distributing corporations too use those interconnected devices to obtain user’s or client’s personal data. The enormous increase in the number of gadgets behind the network’s firewall might be considered as the main reason for the fundamental fear of security experts. In the present scenario, anonymous devices and services around us IOT enabled which is why they can be hacked anytime, uncovering users’ personal data for the criminal to exploit. 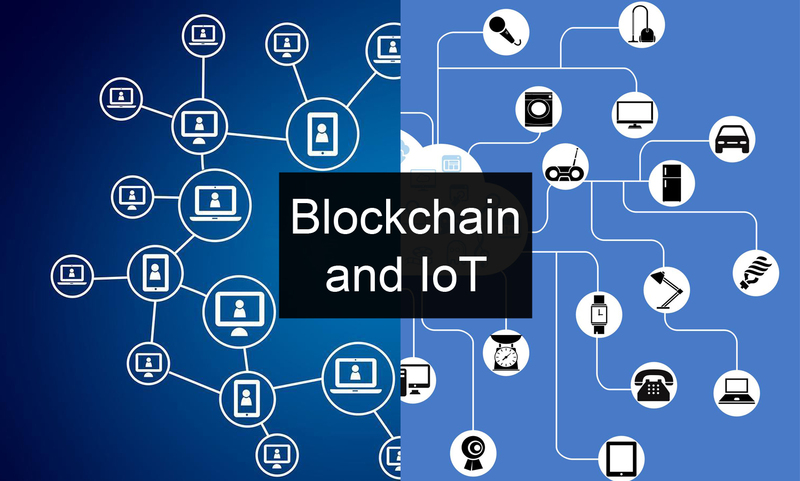 However, Blockchain technology is the most effective solution for this complicated hurdle, or in other words, it might see as a bright ray of hope which can secure all the data in the best possible way and can restore the faith of people back in IOT. The blockchain is the best option which can be used to track the sensor data measurements. Moreover, it not only tracks the data but also prevents the duplication of the data with any other malicious data which might be seen as a harmful one. Each and every user wish for a transparent Technology where they can keep a recorded history of their data and information. Well, as because IOT devices I directly addressable with blockchain which is why they are capable of providing a history of connected devices. There is no doubt does a deployment and operational costs of IOT are a bit too expensive and complex. However, since there is no intermediary system in the blockchain, it helps the great extent in reducing the high cost of operation and deployment of IoT. Blockchain technology is a boon for IOT as because it has the potential ready to enable device autonomy, i.e., smart contract. Not just this, but it also enables data integration of individual identity and supports communication by removing technical hurdles and inefficiencies.